Create a home away from home. When your commute is a plane ride to work Monday mornings, you need a place that feels like home during the workweek. He works for LinkedIn and travels from Silicon Valley to Los Angeles every week for work. 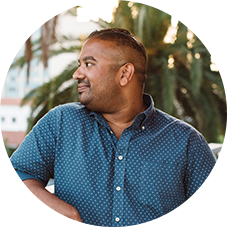 When Nash was approached to manage the LinkedIn office in Los Angeles, he jumped at the opportunity. The problem? He didn’t want to leave behind 15 years of business connections and friendships in Silicon Valley. To maximize his career growth and stay connected to the people he cares about most, Nash decided super-commuting was his best option. Today, Nash works in Los Angeles Monday through Friday, then hops on a plane back to Silicon Valley for the weekend. During his transition to Los Angeles, Nash used vacation rentals as a way to gauge the best neighborhood in the city for him to stay before choosing a more permanent apartment. Once he found the perfect spot, he worked with CORT to create a customized furniture package for his apartment. See why Nash chose CORT for his apartment in Los Angeles and find out how Nash is handling the long commute. Not sure if you’re living in one place for long? CORT has flexible lease term options that allow you to keep your furniture as long – or as short – as you need. Whether you’re staying for three months, a year or longer, CORT helps you find the best match for your situation. You can even extend your lease if your stay is longer than expected. We know you’re coming from another city, so we make it easy to arrange for your furniture package to be delivered and installed before you arrive. Your prompt, professional delivery includes a complete furniture package setup down to the last pillow, lampshade and spoon. Feel at home the moment you arrive. When you select our Move-In Ready Package, we do the work of selecting quality pieces that look great together. You avoid time-consuming shopping and still get a great looking space. Interested in choosing your own furniture? Pick your own pieces that suit your style. Add linens, kitchenware and bath accessories, so your space is living-ready as soon as you walk in. Renting furniture from CORT is designed to be as easy as possible as you create your home away from home. Choose from our Move-In Ready Packages, which includes furniture hand picked by our professional design team, or pick your own pieces of furniture that match your personal style. Then select any additional items you may need (including bed linens, a coffee maker, towels and more) and checkout online! Our team will do the heavy lifting and make sure your home is set up before you arrive. "CORT was really flexible and really courteous. Renting furniture got me out of the commitment of buying a bunch of furniture and having to resell it if I have to move." 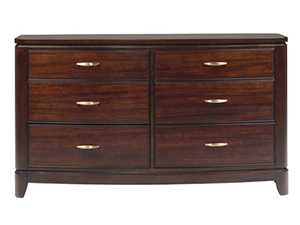 Finished in beautiful mahogany veneers, the Boulevard Dresser has a slightly rounded front and spacious drawers. 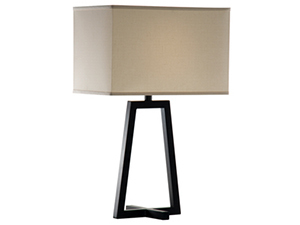 Painted in a brown finish with a rectangular fabric shade, the Burnt Chocolate Table Lamp gives a dresser, console table or sofa table an artful look. 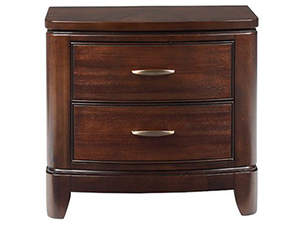 The stylish Boulevard nightstand has a decorative rounded top and base with curved bracket style legs. 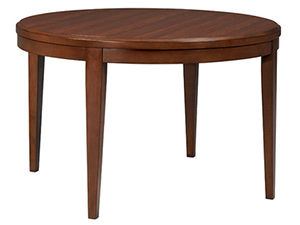 A beautiful wood grain finish, the Beaumont Round dining table has a beveled edge top and rounded legs that give this table its stylish sophistication. 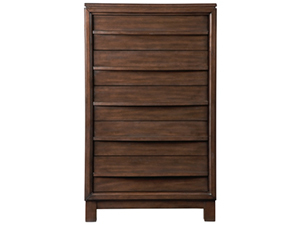 The Easton chest is a versatile piece with a sleek minimalist style paired with a deep rich wood finish. 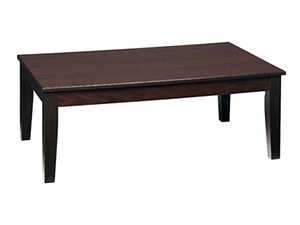 The Dakota Skyline cocktail table has wood grain detailing and a soft sheen that gives this table a warm, inviting glow.